We decided to spend the October long weekend doing the Mount Solitary traverse, following the instructions from bushwalkingnsw.com. We did a car drop at tablelands road in Wentworth Falls, grabbed a quick coffee and by around 9:30am, we were on our way down the golden staircase in Katoomba. 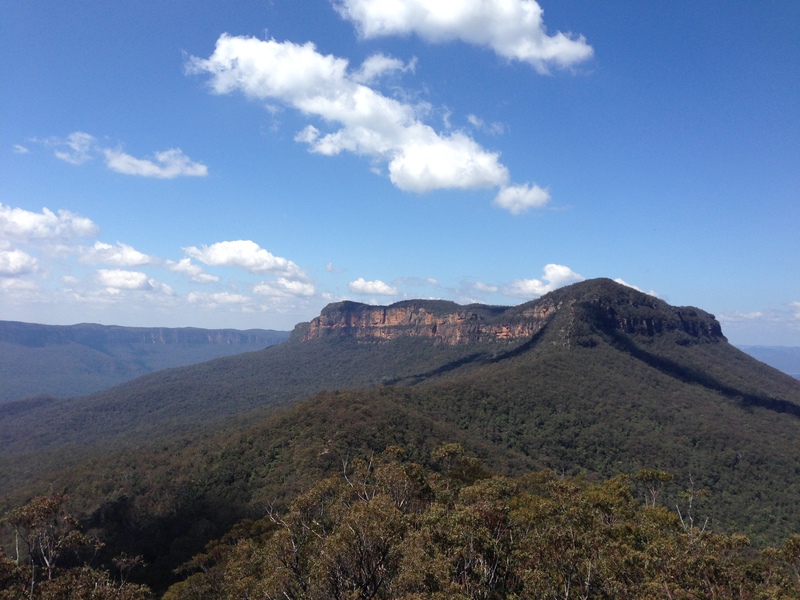 We headed to the ruined castle first to check out the views of Mount Solitary. From there we headed down the valley to the bottom of Mount Solitary. The walk down was really steep and the ground had lots of loose rock so the descend was very slow and steady. Once at the bottom of Mount Solitary, we stopped for lunch before we started the climb. The climb was quite steep and required a bit of scrambling at times. At one point there are two possible options to take to summit Mount Solitary. Either going straight up through the knife-edge or the slightly longer and shadier path around. The path around is quite tricky to follow and you have to keep an eye out to look out for the path markings. Once we got to the top we headed to Chinamans Gully and stopped there to take in the viewed before continuing a bit further before camping. We camped just along the track, there’s an area for a camp fire there but I think it’s more of a lunch spot then a camping site. There’s amazing views from the campsite though, which was why we decided to camp there. The next day we hiked down to the river, stopping at the log book to write our entry. From there on, the track was quite steep doing down and so we took a while there too. When we got to the river, we stopped there to refuel our water supply (had to treat the water), dip our tired feet in the water and have lunch. After lunch we began the ascend up the valley to tableland road in Wentworth fall, where we parked our car. We got to the car at around 3:30pm, headed back to Katoomba to grab my car and then heading home to watch the ending the footy grand finals. Below is a short video that I’ve put together for the hike.